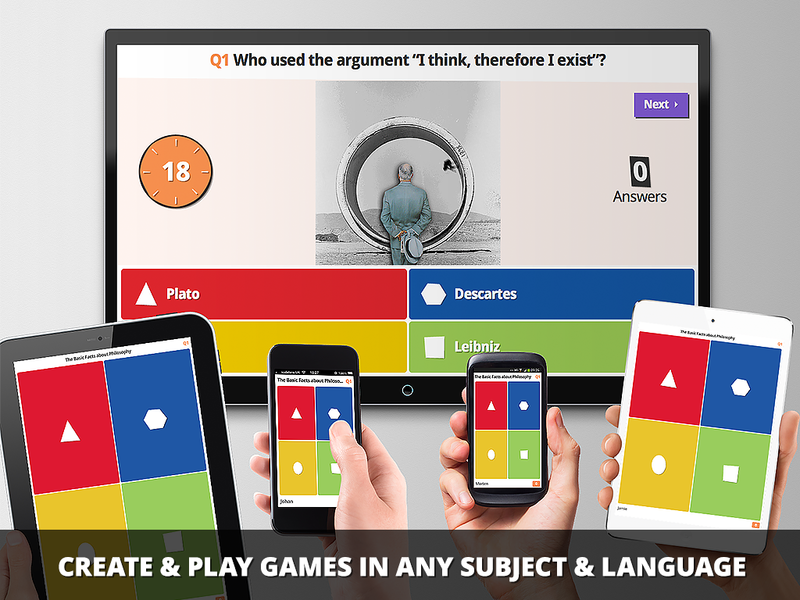 My 8th Grade World: 1 Week...6 Review Games! It is now May and we are down to 16 days left of school before Summer Break! We have already taken our end-of-the-year standardized test (SCReady this year in Clover School District) back on April 28th. We prepared for it a little differently this year. Each year we spend one-to-two weeks (depending on how fast we get through the material and curriculum) doing review work, worksheets, practice tests, etc. This year I decided to add a little more competition and spice to the review! Everything is a little more fun with games and competition right? I have 4 classes (2 Pre-Algebra and 2 Algebra). Since all students in the 8th grade have to take the SCReady, I decided that all students needed to compete against each other with review games. Therefore, I created a ScoreBoard for all of my classes to see how they were competing and comparing to groups in other classes. I allowed my Algebra students to pick their groups, but we (my co-teacher and I) decided to assign groups in our PreAlgebra classes. Once students picked their groups on Day 1 they had to stay with that group throughout all the review games. On the first day of competition review students created their own group name that they would be known by throughout the review games and on the ScoreBoard. Also on Day 1, I explained to students that if they came in 1st place for the day (in their class) they would earn 5 points, 4 points for 2nd, 3 for 3rd, 2 for 4th, and 1 for 5th place. To make the overall excitement go even higher...I told students that at the end of the review games the 1st place team in each class would earn 10points added to any assignment of their choice during the 4th 9 weeks!! 2nd place would earn 8 points, etc. Needless to say, students got super excited over that one! This is our Team ScoreBoard! Group names across the top and games down the side! Groups earned 5 points for 1st place in their class, 4 points for 2nd, and so on. Our first game of the week was Kahoot! 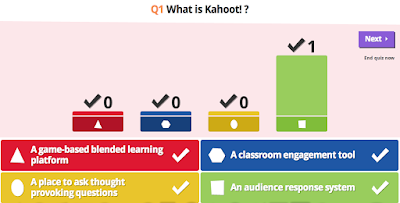 To see how Kahoot works..Check out my previous blog "It's a Kahoot!" that explains it! 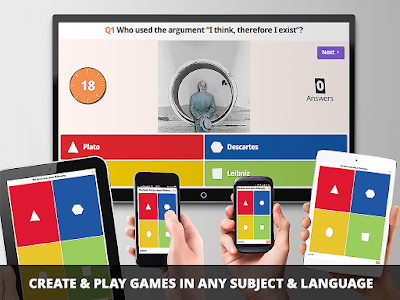 Kahoot is always a hit with my students, not to mention there is a great new addition of Team Mode! 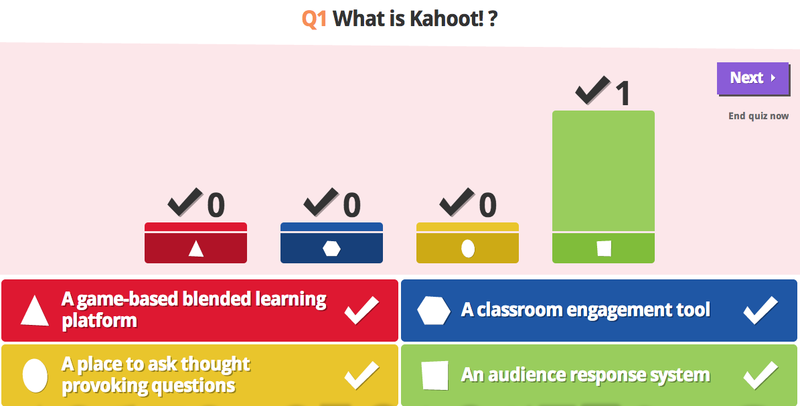 The trick I have found when using Kahoot is to give students the worksheet, review page, practice test, etc. that we are working on for the day first. I give students the assignment and twenty minutes to get a "head start" on answering the questions. After twenty minutes we begin our Kahoot game since most students/groups have answered a majority of the questions. Our second game of review was Survivor. 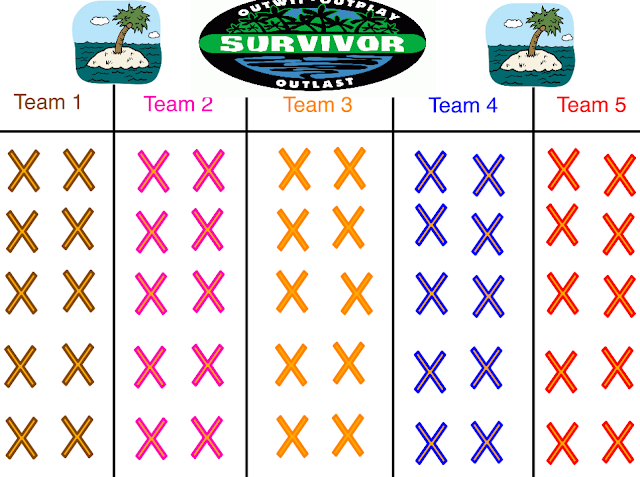 I first heard of Survivor from this Pinterest post a couple years ago. I changed the title of the game to "Survivor"...not exactly sure why I did though?! Again, I give students a "head start" on working on the review before starting the game. In order to remove X's from another group, a group must first get the review question correct as we work through the material. The kids really like this game too because several groups tend to target one group to take out first. It's funny to see students not really interested in winning...but more interested in keeping another group from winning. This is the board I display on my Promethean Board during our game. After Survivor, the next day we played ZAP! ZAP is a fun game that I also got from Pinterest! I created a small board of only 12 cards (but if we ever run out...we just refill the cards and keep going!). Students liked this game for the most part...except for when they pulled a ZAP! card and lost all of their points! Like Survivor...students do not get to pull a card until their group correctly answers a review problem we were focusing on for the day. The picture on the left (below) is what students see as they play the game. The picture on the right is what the cards say as they pull them out! Plickers was next on the list of review games! I've also written a blog on Plickers and how I used this last year within my class, check it out here! This year we haven't used Plickers as frequently just because we've jumped on the Canvas wagon and they have some fabulous one-question methods to serve as Exit Tickets. Students liked Plickers this week as a review game just because they earned a point for every question they got correct. They liked that there were no other groups that could take their points away or target them for any reason. Our last two games (that covered review material) had to be done without iPads and within super short classes. The last two games: Unfair & Trasketball were done in classes that only lasted 30-35 minutes because they were done the days of SCReady English and Writing tests. Therefore, we were on modified schedules because of the early morning standardized testing. 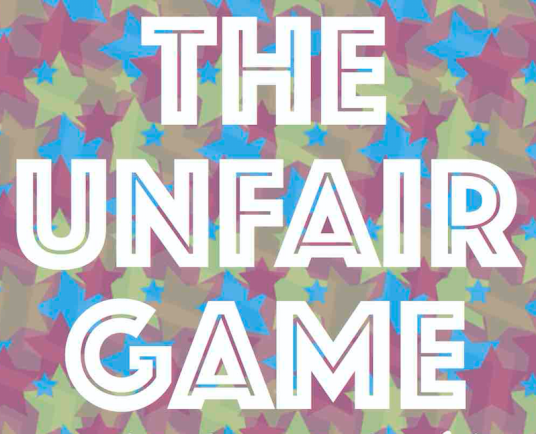 The Unfair game...you can guess it...came from Pinterest!!! I have to say...the kids "said" they didn't like this game...but I think they didn't like what happened to their group in this game! It was funny because there was absolutely no skill involved in this game (outside of getting the review question correct). Once students got the question correct, they had to pick (before drawing a card) wether they wanted to take the card for their group, or give it to another group. Students had no idea what they would end up picking because cards ranged from -2 points, switch scores with another team, +2 points, and return to zero among several others! Our last review game was the good-go-to Trashketball. As the 7th grade girls basketball coach, I couldn't help but through in some Trashketball review. 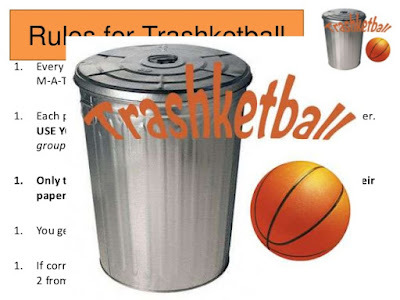 Once groups got the correct answer for the review question, students picked one group member to shoot trash into the trashcan from the 1, 2, or 3 point line. To give students a break the day of our SCReady Math test, we played one last Kahoot game...but it was surrounding Popular Culture! I figured my students didn't need more review after taking a 72 question test! Yes!! 72 questions...50 something with a calculator and almost 20 without a calculator. I hate to say it...but I think this was the highlight of the week for most of my students! It is surprising how many questions my students got correct about pop culture! They literally know everything! There were loving this game!! Questions included everything from singers, types of dances, actors, and movies. I think this game was a good relaxing day for students...They weren't to thrilled coming into class realizing they were playing another game, but after they logged into Kahoot and saw the questions...they didn't want to stop playing!! After 7 games, I think my kiddos were review-gamed out. They enjoyed playing the games, but I think it was the amount of math questions I was able to squeeze out of them in a six day period! I don't know if my kids would admit it...but they completed 87 questions during that six day period of review games! And, I didn't really have to "fight" them to complete them. Students were so motivated at beating each other...maybe even more than earning the extra points...that the games kind of ran themselves! Check out our ScoreBoard at the end. Congratulations is due to: Panda (the overall team leader who also won ice cream on top of their 10 extra points), :) :), Fineapples, and Trump Nation #2! As much as I hate to admit it....I know there will be questions about the blanks (---) on a couple rows. These blanks represent classes who couldn't quite get it together during that 20 minute "working" period. Needless to say..they lost their privilege to play the game for the day and took the review work as a classwork grade because they couldn't use their time wisely and get their work done as expected. As much as it stung to make them not play the game...I think overall (from a teaching standpoint) those two days also served as reminders for the other days (and classes) that these games were "rewards" and supposed to be "fun breaks" in the review that we would be doing regardless. I would say for a six day period...with four classes each day...only have 2 class periods that missed a game was a win for this teacher! With the end of the school year coming and end-of-the year testing, it also means our softball season has come to an end. We finished strong this season with an 8-3 record. I'm looking forward to next year since we will be bringing back 11 of our 14 girls!! We will miss our three 8th graders...but I know my eleven 7th graders will be ready to bring home a championship!